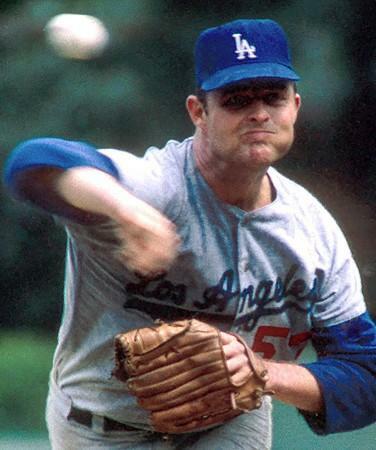 Buzzie Bavasi got his start in baseball when Ford Frick recommended that Larry MacPhail hire him for an office boy position with the Dodgers. 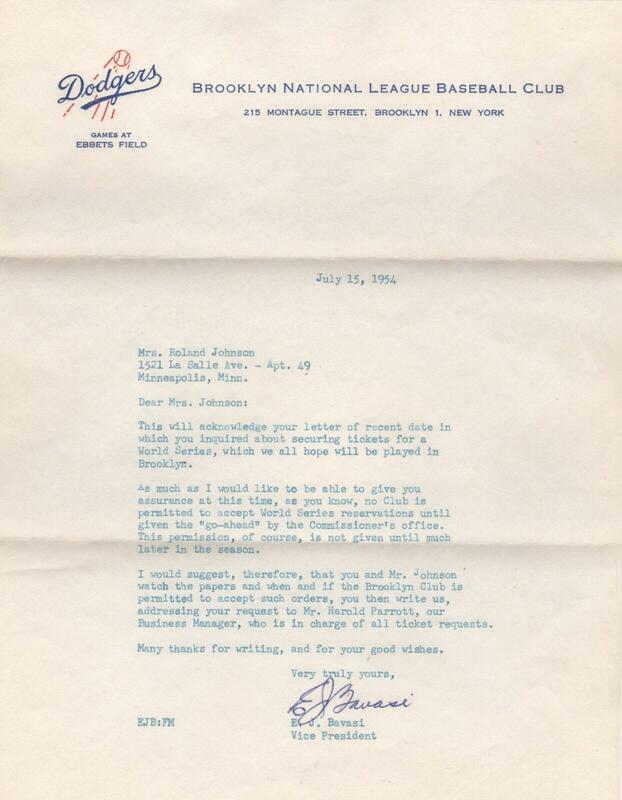 Buzzie Bavasi got his break from the powerful father of his prep school and college roommate, Ford Frick. 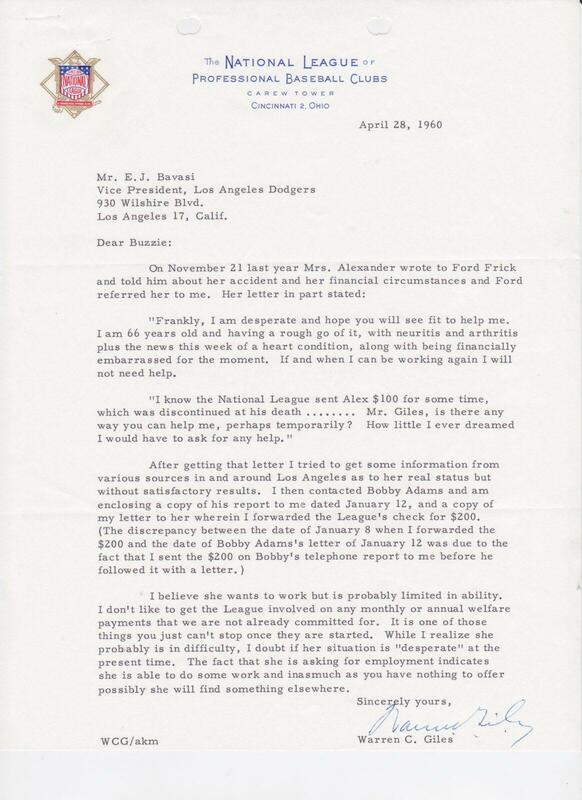 Then the newly minted National League president, Ford Frick called old friend Larry MacPhail to recommend hiring Bavasi to an office boy position. 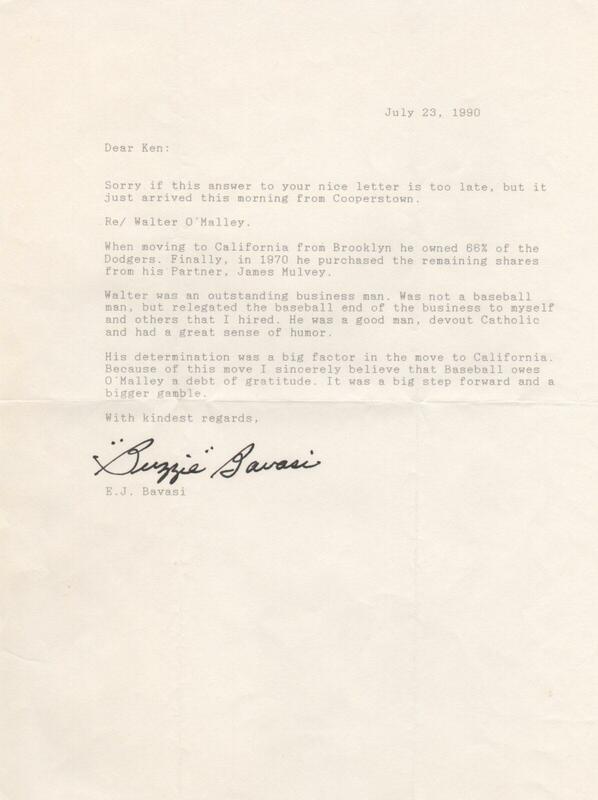 Bavasi would parlay that opening into a lifetime of devotion to the game of baseball. 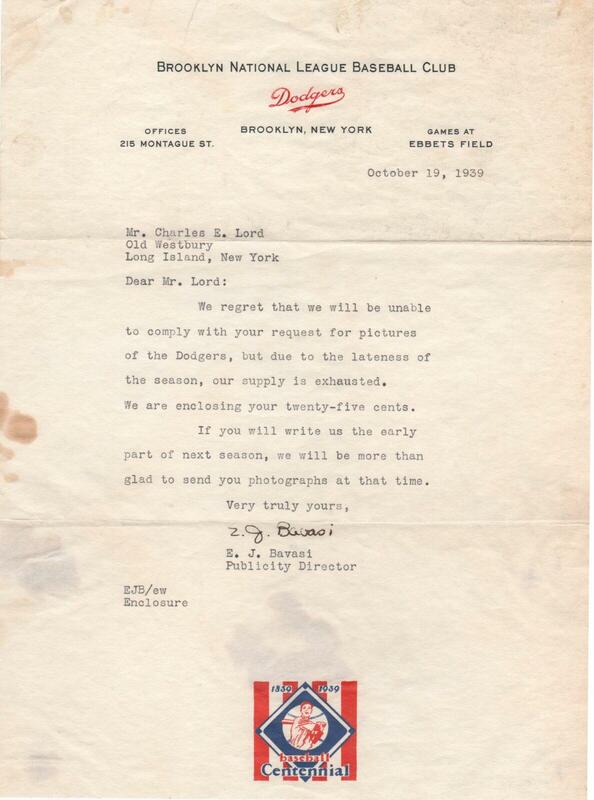 In this letter dated October 19, 1939, Bavasi as Director of Publicity responds to a fan’s request for pictures of the Dodgers. 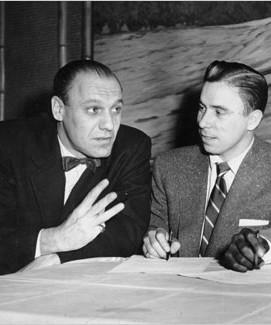 Bavasi would later ascend to general manager of the team in 1951 and guide them as GM to their first four World Series titles. 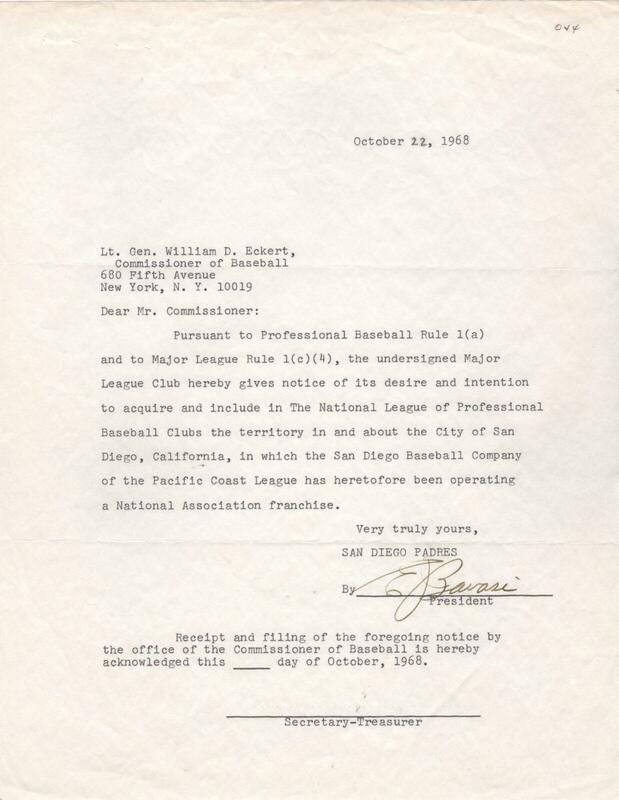 The letter is dated six months before the Padres franchise’s Opening Day and represents an important step in San Diego transitioning from a town with a PCL club, to America’s Finest City – home of Major League Baseball’s San Diego Padres. 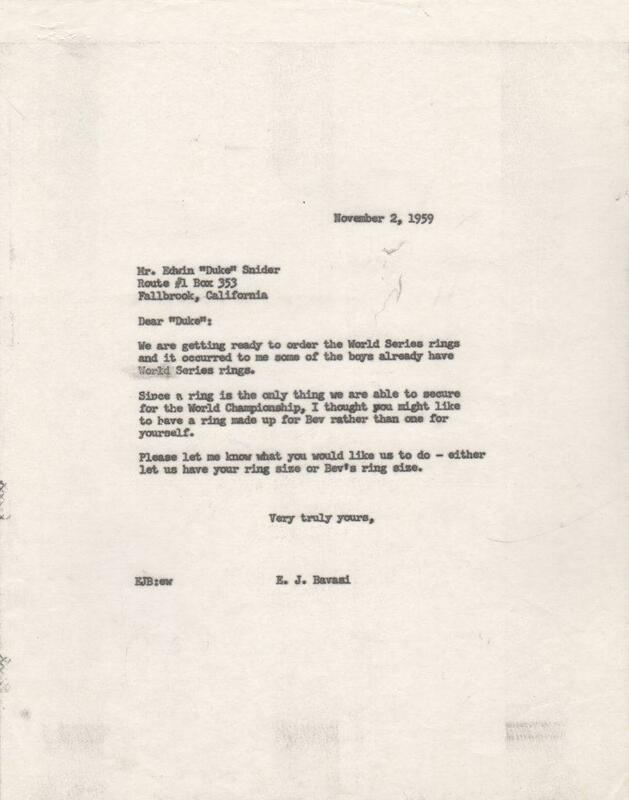 Duke Snider responds by telling Bavasi, “My ring size is 7 1/2 for my little finger.” In closing the letter, Snider writes, “I guess that’s all for now. The leg feels good and the weight is just over 200. 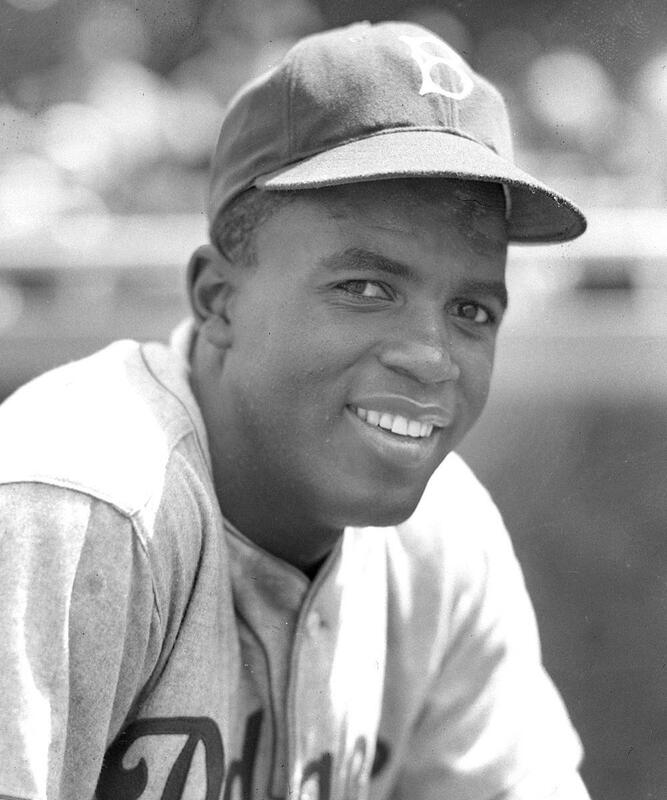 I’ll be 200 or under by spring.” Though Duke’s best years were behind him he still hit 28 homers with 88 runs batted in and a .308 average in 1959. 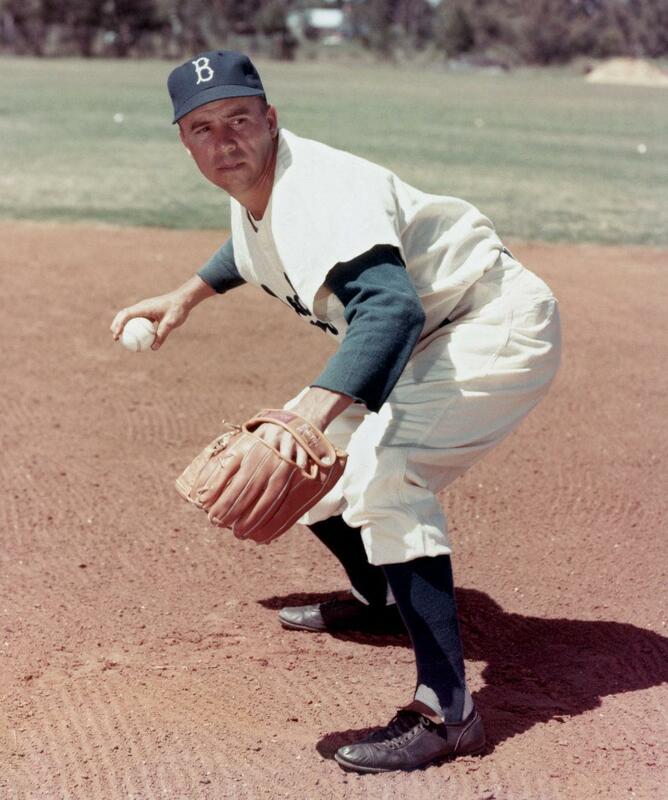 His numbers would continue decline before playing his last game in 1964. Not sure what your ring size is? You might want to use this card to find out. 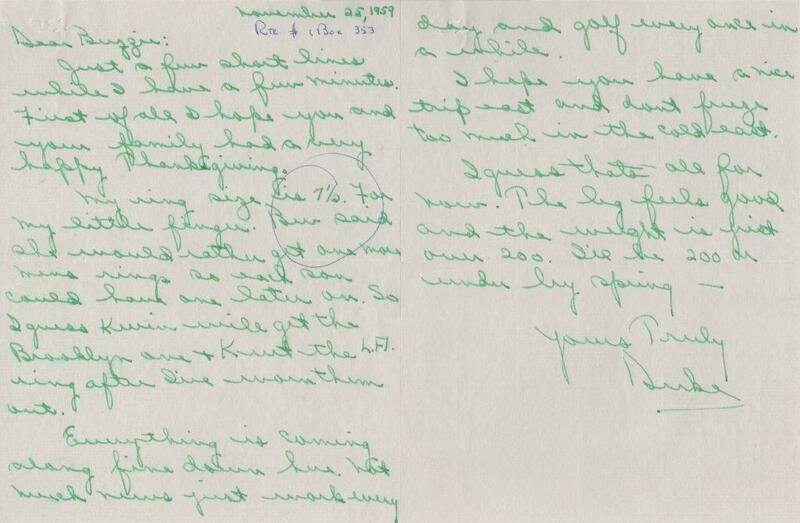 Given to the Dodgers to size their fingers for the 1959 World Series rings, this particular card bears the signature of Charlie Dressen, a lifelong baseball man who served as a coach on the ’59 club. 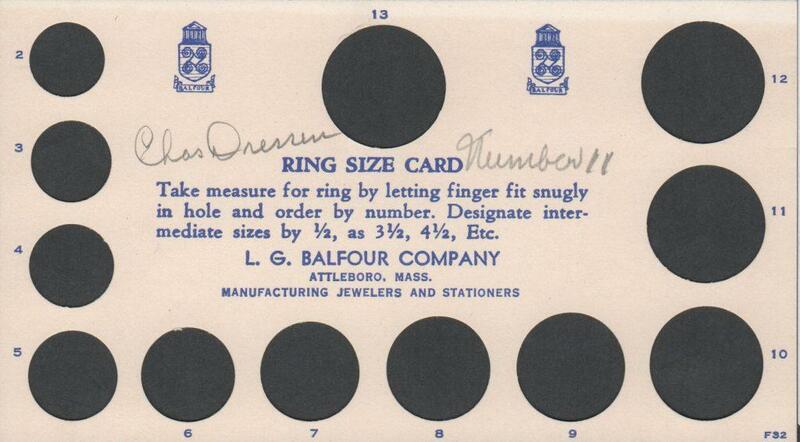 The ring size card comes from Balfour Company. Dressen has written, “Number 11” next to his signature. Buzzie Bavasi was a 49-year old Vice President and General Manager of the Dodgers when he signed this letter on July 15, 1954. Three years into the position, Bavazi would reach the pinnacle of his career the following season when the Dodgers brought home Brooklyn’s first and only World Series championship. 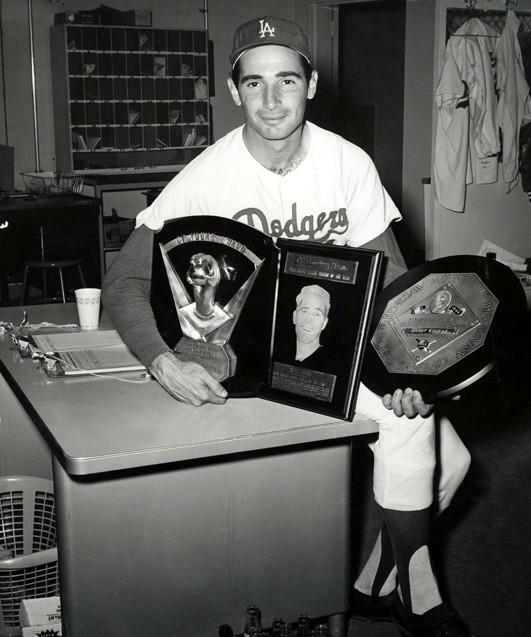 All told, Bavasi’s Dodgers captured eight NL pennants and its first four World Series titles. 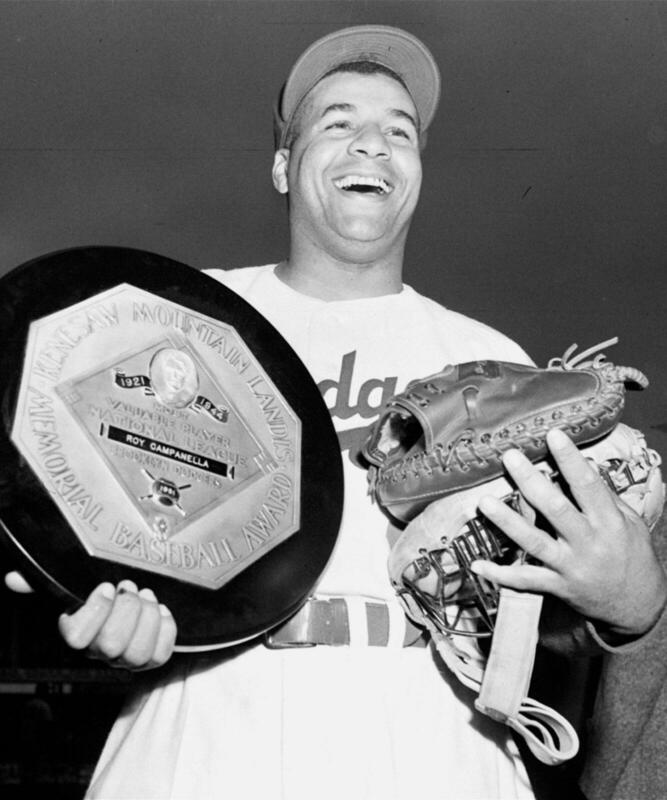 Many believe Bavasi is worthy of induction into the Baseball Hall of Fame. The Bavasi family tree has lots of Major League branches. 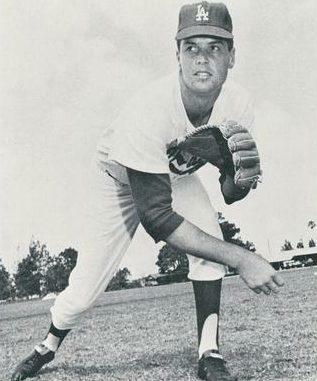 His oldest son, Peter served as the first general manager of the Toronto Blue Jays and later as the team’s president from 1978-1981 and later as president of the Indians in 1986. Younger son Bill was Vice President and general manager of the Angels when he wrote the letter shown above. Here he writes the prospect of the team hiring Jeff Torborg as manager. 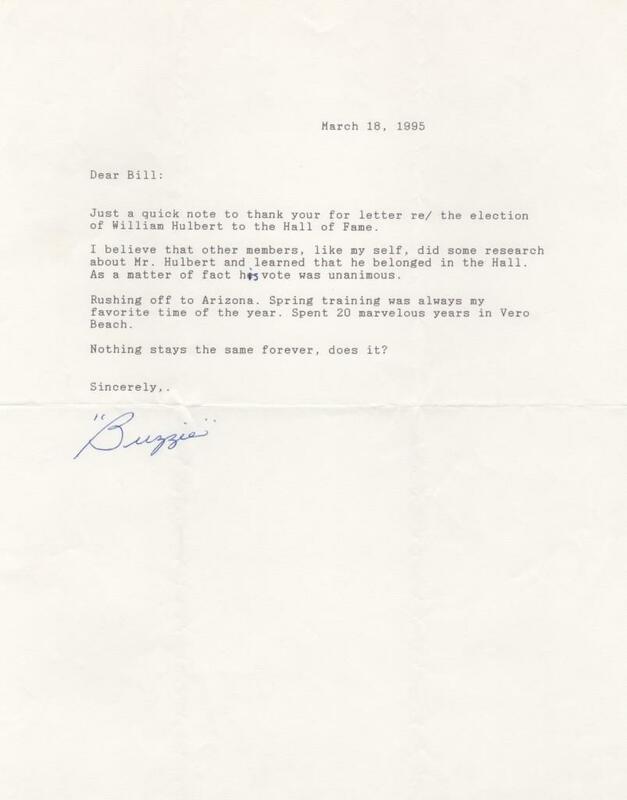 Notice the letterhead on the envelope and the postmark of October 26, 1996. 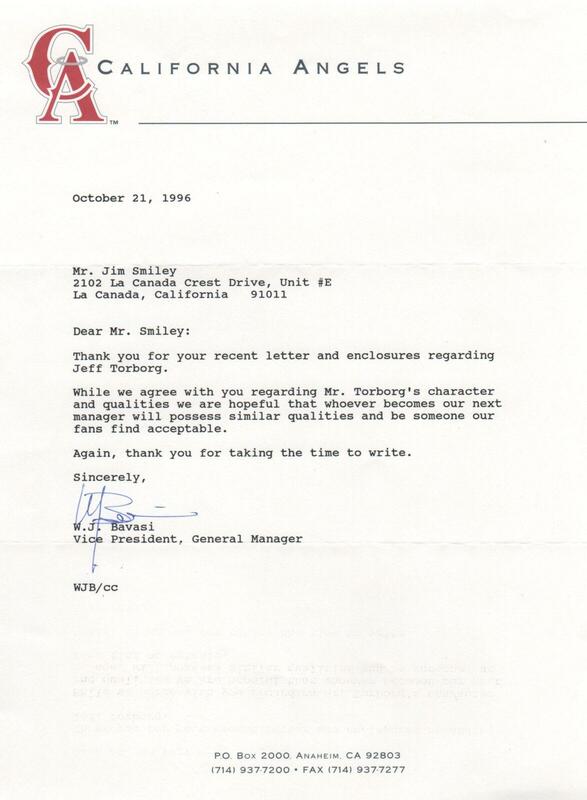 The Angels would eventually hire Terry Collins as their manager. Torborg would eventually return to the field as skipper for the Montreal Expos in 2001, a job that would last until early in the 2003 season.